Enjoy yourself (Just not in the same way you used to before)! I used to look forward to, and enjoy, weekends away with church. Now I brace myself for them, and often feel I’m the worst version of ‘me’ when I’m there. Sad, I know. But I believe that through prayer and practical wisdom this, the “time away with church family, with a family,” can be conquered! I’m going away today, so I thought I’d offer some tips on how to get through, I mean enjoy, your time away (it’s more fun than packing). I’m in no way the expert, but I thought I’d share what I’ve come up with thus far – you’ll see I’m learning from my mistakes. Sleep – Time and again I make the mistake of arriving on a conference/camp/ weekend away already tired, and hoping for some rest. Go on, point and laugh, I deserve it. You won’t get much sleep. Things will prevent you from sleeping: probably your children. But while you can do everything in your power to encourage your children to have a good night’s sleep (blackouts, familiar bedding, nightlight etc. ), there are always things you can’t control. Even if your children sleep wonderfully, you are still likely to be woken up by something else, e.g. someone else’s child; a fire alarm; a 5am delivery van; a 3am Pentecostal prayer gathering (this has been my experience, anyway). Catching up with good friends – this is unlikely, because you will be busy with your brood and also there may be other people who need you more. You don’t want to end up resenting your children or anyone else who gets in the way of your nice long chat with so-and-so. Maybe think of this as an opportunity to arrange to meet up with that friend in the next couple of weeks! Then, if you do end up having a good chat: bonus! Taking part in everything that’s going on – it might be the teaching you look forward to, or the social aspect, or praying together. But it’s likely you’ll miss out on something you’d really like to have been at. You might get trapped in your room with a clingy baby and no phone signal to beckon help, while everyone else is having a whale of a time doing “organised fun.” You might miss all of the talks because your 3-year-old is terrified of the unfamiliar surroundings, or you might have to take someone to A&E. Hopefully none of these will happen, but I’m just saying it’s good to be emotionally prepared to miss out. Be thankful. Sorry everything above is so negative. I think that if we “manage our expectations” (fancy phrase) then we’re more likely to be thankful for any fun/teaching/sleeping/encouragements that we do receive. I need to remember to be thankful, because I just won’t be otherwise. I’m like that, me. Forget yourself. I find that at these intense, emotionally draining times I get too focused on my own “problems” (e.g. lack of sleep/missed the seminar), which is just a recipe for disaster. If I try to focus on making sure other people are OK, I’ll actually start to forget what I was so narked off about in the first place. Get over yourself, Catherine (or, you know, something less harsh). Research – if you haven’t been to the venue before, try to find out what you need to take with you from someone who has been or from the venue itself. You don’t want to arrive and realise you were meant to bring bedding. Almost equally you don’t want to stuff five duvets into your boot (trunk) and then discover you didn’t need them. 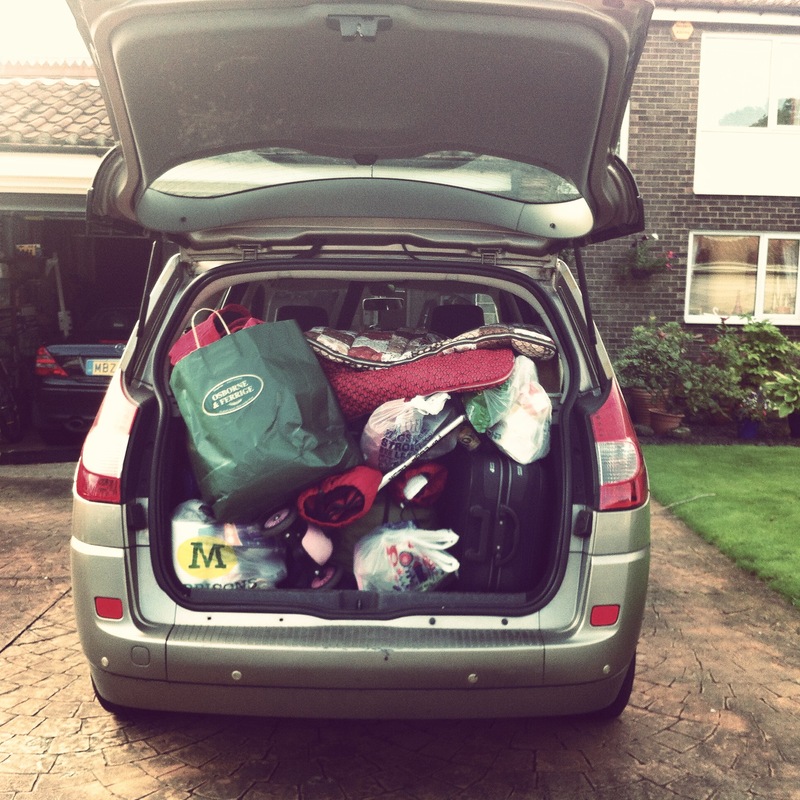 Especially if you don’t have a driveway, so loading the car is tricky, and you bought the duvets especially. Just saying. I’ve now noticed that (maybe apart from the final one) these are quite good tips for life in general. Maybe that’s because time away with church is really just a more intense version of normal life. And I need to remember, too, what an AMAZING privilege it is to have the resources, the community, and the freedom to be able to do this. Would my North Korean sister be grumbling about missing the Saturday night karaoke if she were here? No, I’m pretty sure she’d think she’d died and gone to heaven. Is it church weekend away season? We’re signing up for ours now. I am looking forward to it – in the same way I’m looking forward to having a newborn (because I’ve forgotten all the pain and sleep deprivation and only remember the long term blessings). Incidentally, we’re hoping our newborn doesn’t actually GET born ON the weekend away.